Apple Inc. said on Dec. 13 it would spend $1 billion to build a second campus in Austin, Texas, that will house up to 15,000 workers as part of a broader push by U.S. companies to create more domestic jobs. The iPhone maker also said it plans to expand in Seattle, San Diego and Culver City, Calif., and add hundreds of jobs in Pittsburgh, New York, and Boulder, Colo., over the next three years. The 133-acre campus in Austin will be less than a mile from Apple’s existing facilities and initially have 5,000 employees. The jobs created would be in engineering, research and development, operations, and finance. Amazon.com Inc. in November said it will create more than 25,000 jobs in both New York and the Washington, D.C. area by opening massive new offices. The two technology companies chose cities with a wealth of white-collar workers and high employment, bypassing other regions that may have required more investment. “Apple has been a vital part of the Austin community for a quarter century, and we are thrilled that they are deepening their investment,” Austin Mayor Steve Adler said on Dec. 13. It is in the interest of U.S. companies to tout job creation because those that move positions overseas or shutter factories have drawn sharp rebukes from Trump, who has championed job creation. Most recently, the president said he told General Motors Co. Chief Executive Mary Barra he was unhappy with her decision to cut production at an Ohio factory. Amazon last month ended a more than year-long bidding war for a $5 billion second headquarters, splitting that investment between Long Island City in Queens, N.Y., and Arlington, Va., for offices that could each house 25,000 jobs. 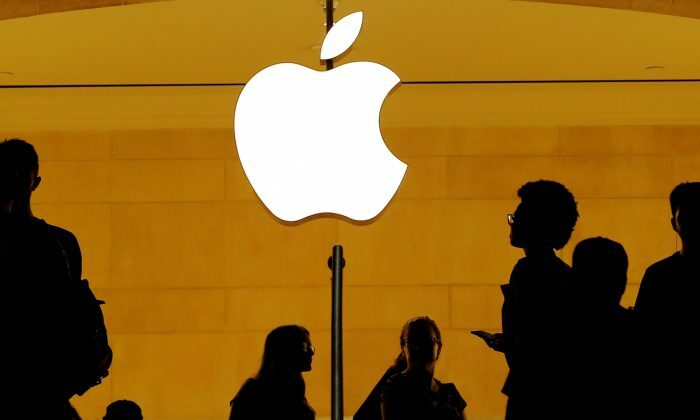 Shares of Apple have tumbled more than 20 percent since Nov. 1, when Apple warned sales for the crucial holiday quarter would likely miss Wall Street expectations.